Knatokie Ford | #WHM18 #WomensHistoryMonth #WomenInSTEM @fly_sci « Adafruit Industries – Makers, hackers, artists, designers and engineers! 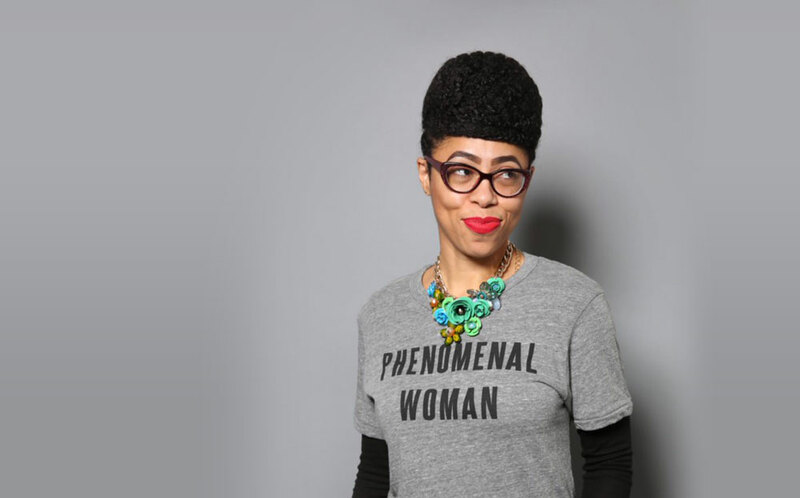 This is Women’s History Month – but there’s no history like the now-history, and Knatokie Ford has been making history with her advocacy and teaching, as a biomedical scientist (who tweets), as an Office of Science and Technology Policy (OSTP) advisor during the Obama administration, as an actual teacher in Los Angeles, as a #BlackGirlMagic ambassador, and so much more. Dr. Knatokie Ford is Founder and CEO of Fly Sci Enterprise, an education and media consulting organization focused on leveraging the power of storytelling to promote social change, particularly in science, technology, engineering, and mathematics (STEM) fields. A national advocate for STEM inclusion, Dr. Ford works with a number of leading organizations, including YouTube, Amy Poehler’s Smart Girls, and the Association of National Advertisers where she serves as the STEM & Entertainment Engagement Advisor for the #SeeHer initiative. She previously served as a Senior Policy Advisor at the White House Office of Science and Technology Policy (OSTP) during the Obama Administration. In this role, Dr. Ford oversaw development and implementation of a national initiative, the “Image of STEM,” which was designed to raise visibility and improve the image of STEM fields and careers in order to help promote diversity in the STEM workforce. This effort is listed in the top 100 S&T Accomplishments of the Obama Administration. From 2012-2014, Dr. Ford served as a AAAS Science & Technology Policy Fellow at OSTP with the President’s Council of Advisors on Science and Technology (PCAST) where she managed concurrent projects on education technology and improving the Nation’s health care system. Prior to working at OSTP, Dr. Ford was a postdoctoral research fellow at Beth Israel Deaconess Medical Center in Boston, MA. She also spent time in Los Angeles where she had the opportunity to work in the entertainment industry and serve as a middle school teacher in an underserved community in South Central Los Angeles. Dr. Ford was a nominee in the “Shero” category of the inaugural Women’s Choice Awards in 2017. She is also featured in the 2018 “BLACK GIRLS ROCK!” book by DJ Beverly Bond. Dr. Ford completed her PhD in Experimental Pathology at Harvard University where she studied age-related macular degeneration and received a BS/MS in Chemistry/Biological Chemistry from Clark Atlanta University. For still more reading check out this article on Vice’s Motherboard, and this post at Atlas of the Future.